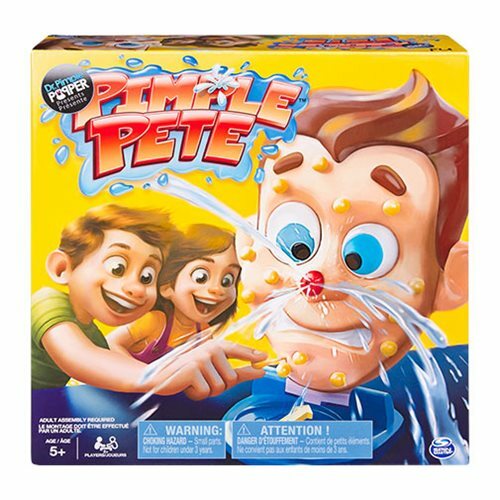 Help Pimple Pete pop his pesky pimples! Pop Pimple Pete's pimples without erupting his mega-zit! Once all the pimples are loaded and the mega-zit plunger is filled with water (or any other form of liquid), players take turns spinning the spinner. The spinner determines where to pop the zit – chin, left cheek, right cheek, or forehead. Pop any pimple on that part of the face, but be careful when you pop! Too much pressure and the mega-zit will explode! 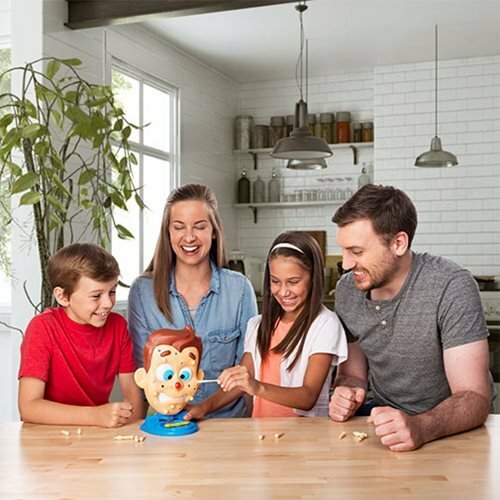 If the pimple is popped successfully, Pimple Pete is passed to the player on the left. The last player left is the Pimple Pop Champion! 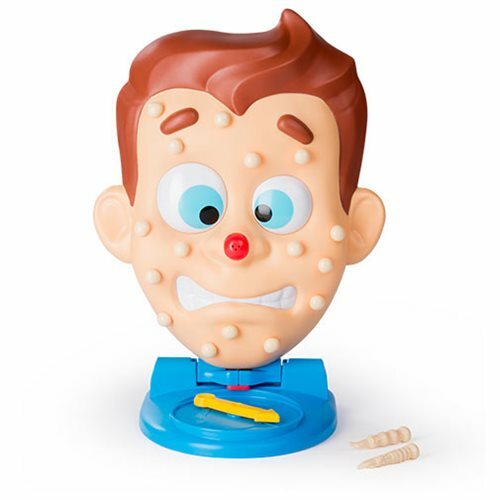 Dr. Pimple Popper Game is for 2 or more players. Ages 5 and up.